'Shapton has created a mystical territory - a performance, an exhibition, a guestbook - in which I felt the ghost within myself; the thing that will outlive me. A fearless and exquisite book' Miranda July Guestbook explores the glimmering, unsettling things that haunt us in the midst of life, combining stories, vignettes and an evocative curiosity cabinet of artifacts and images - found photographs, original paintings, Instagram-style portraits - to transform the traditional ghost story into something else entirely. 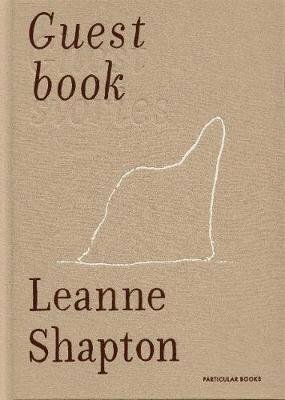 'Leanne Shapton has a way of making books entirely new, surreal, and uncanny ... Guestbook contains ghost stories for a world of images and captions, in which the ghosts are all of us, and our strange time' Sheila Heti, author of How Should a Person Be?